FRAMINGHAM, Mass., October 31, 2018 – In the multiplied innovation economy, enterprises are racing to reinvent themselves as the pace of digital transformation (DX) becomes exponential. The most effective CIOs are reinventing IT from top to bottom and creating new digital platforms with agile connectivity while modernizing and rationalizing to jettison the ballast of obsolete systems. To support CIOs in their race to reinvention, IDC today unveiled the IDC FutureScape: Worldwide CIO Agenda 2019 Predictions (Doc #US44390218). These predictions provide a strategic context that will enable CIOs to lead their organizations through a period of multiplied innovation and disruption over the next five years. They also lay out IDC's vision for the ten most important shifts that will happen in IT organizations over the next 60 months and will help senior IT executives in the formation of their strategic IT plans. 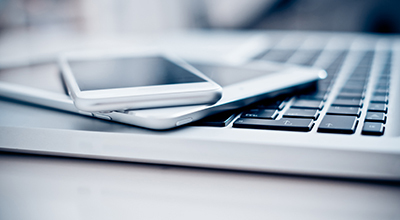 In today’s 11:00 a.m. EST Web conference, IDC analysts Joe Pucciarelli, Serge Findling and Pete Lindstrom, offered guidance for managing the implications these ten predictions harbor for IT investment priorities and implementation strategies. To register for an on-demand replay of this Web conference or any of the other IDC FutureScape Web Conferences, please visit: https://www.idc.com/events/futurescape. Follow us on Twitter @IDC. "In a multiplied innovation economy built on emerging technologies, CIOs must reinvent the IT organization to enable their enterprise to take advantage of the most powerful wave of the digital transformation. They must also reinvent customer, employee, and partner experiences to strengthen trust and resilience, while learning to live with and manage risks posed by AI and machine learning (ML) by reinventing IT governance. Moreover, they need to reinvent IT leadership, by orchestrating armies of bots and automated processes in addition to leading people. CIOs are reinventing IT through IT transformation (ITX)," said Serge Findling, vice president of Research for IDC's IT Executive Programs (IEP). Prediction 1: By 2021, driven by LOB needs, 70% of CIOs will deliver "agile connectivity" via APIs and architectures that interconnect digital solutions from cloud vendors, system developers, start-ups, and others. Prediction 2: Compelled to curtail IT spending, improve enterprise IT agility, and accelerate innovation, 70% of CIOs will aggressively apply data and AI to IT operations, tools, and processes by 2021. Prediction 3: By 2022, 65% of enterprises will task CIOs to transform and modernize governance policies to seize the opportunities and confront new risks posed by AI, ML, and data privacy and ethics. Prediction 4: Through 2022, 75% of successful digital strategies will be built by a transformed IT organization, with modernized and rationalized infrastructure, applications, and data architectures. Prediction 5: By 2020, 80% of IT executive leadership will be compensated based on business KPIs and metrics that measure IT's effectiveness in driving business performance and growth, not IT operational measures. Prediction 6: By 2020, 60% of CIOs will initiate a digital trust framework that goes beyond preventing cyberattacks and enables organizations to resiliently rebound from adverse situations, events, and effects. Prediction 7: By 2022, 75% of CIOs who do not shift their organizations to empowered IT product teams to enable digital innovation, disruption, and scale will fail in their roles. Prediction 8: Through 2022, the talent pool for emerging technologies will be inadequate to fill at least 30% of global demand and effective skills development and retention will become differentiating strategies. Prediction 9: By 2021, 65% of CIOs will expand agile/DevOps practices into the wider business to achieve the velocity necessary for innovation, execution, and change. Prediction 10: By 2023, 70% of CIOs who cannot manage the IT governance, strategy, and operations divides between LOB-dominated edge computing, operational technology, and IT will fail professionally. IDC FutureScapes present information about technologies, markets, and ecosystems that help CIOs better understand future trends and their impacts on the enterprise. They also present guidance on complex, fast-moving environments and offer prescriptive, actionable recommendations. Every year, IDC identifies the key external drivers that will influence businesses in the coming years. A FutureScape establishes ten predictions derived from these drivers, analyzes the impacts on the IT organization, and proposes recommendations for the next five years. To learn more about the series of IDC FutureScapes, please visit: https:/ /www.idc.com/events/futurescape. For additional information about these predictions or to arrange a one-on-one briefing with Serge Findling, please contact Sarah Murray at 781-378-2674 or sarah@attunecommunications.com. Reports are available to qualified members of the media. For information on purchasing reports, contact insights@idc.com ; reporters should email sarah@attunecommunications.com. IDC FutureScape reports are used to shape IT strategy and planning for the enterprise by providing a basic framework for evaluating IT initiatives in terms of their value to business strategy now and in the foreseeable future. IDC's FutureScapes are comprised of a set of decision imperatives designed to identify a range of pending issues that CIOs and senior technology professionals will confront within a typical five year business planning cycle. International Data Corporation (IDC) is the premier global provider of market intelligence, advisory services, and events for the information technology, telecommunications, and consumer technology markets. IDC helps IT professionals, business executives, and the investment community make fact-based decisions on technology purchases and business strategy. More than 1,100 IDC analysts provide global, regional, and local expertise on technology and industry opportunities and trends in over 110 countries worldwide. For more than 50 years, IDC has provided strategic insights to help our clients achieve their key business objectives. 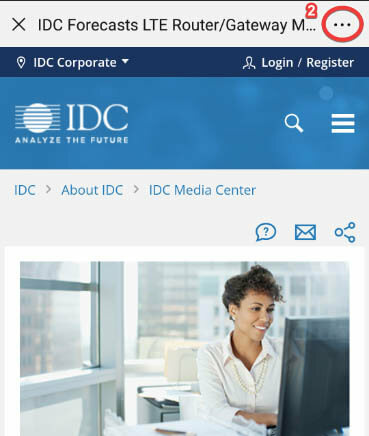 IDC is a wholly-owned subsidiary of IDG, the world's leading technology media, research, and events company. For more information, please visit www.idc.com, email insights@idc.com, or call 508-872-8200. 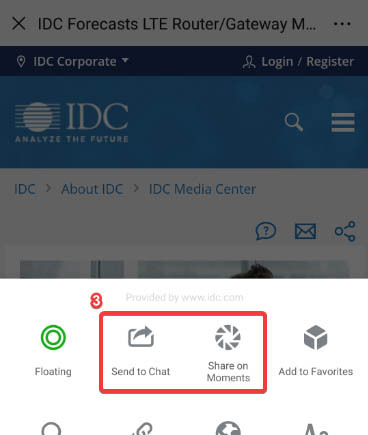 Visit the IDC Community at https://idc-community.com.